Some of you might remember the ripples caused in the blogosphere by the two-standard-deviation excess found by the CDF collaboration in their data in January 2007, while searching for a Higgs boson of the Minimal Supersymmetric extension of the Standard Model (MSSM). The search, led by my colleague physicist and blogger John Conway, had focused on the Higgs decay to a pair of tau leptons. To Conway's bewilderment, a small but nagging bump had indeed appeared in the invariant mass of two tau candidates in the data, corresponding to a Higgs mass of 160 GeV (right, in yellow). The story has been told several times: while commenting Conway's intriguing result, I made the point that if the bump were really due to a supersymmetric Higgs boson -a fact enormously less likely than the alternative hypothesis of being due to a statistical fluctuation-, then a similar signal should have been present in a plot I had recently produced, again with CDF data but in a different distribution: events containing pairs of b-quark jets. 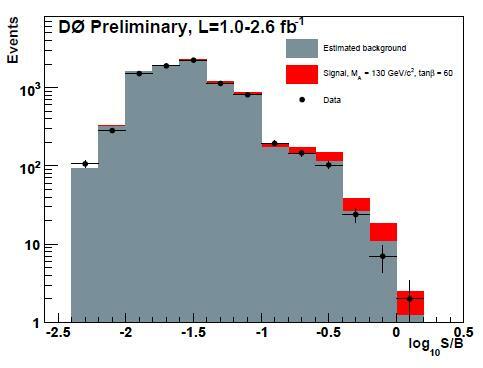 The purpose of my study of the dijet mass distribution had been to extract a signal of the very un-exotic Z boson decay to b-quark jet pairs (see picture, left -the Z signal is in red), but since Z decays to b-quark pairs are quite similar to Higgs decays to b-quark pairs, indeed if the bump found by Conway and collaborators was due to a few Higgses decaying to tau leptons, my own plot would by necessity contain quite a few more decaying to b-quarks: that is because if a MSSM Higgs exists and if it produces a signal in the tau-tau final state, it does decay to b-quark pairs, too. The b-quark is in fact as similar to the tau lepton as a quark can be: both are third-generation fermions, and both have negative weak hypercharge, and both have a mass of a few GeV. If the MSSM Higgs decays to taus, it also decays to b's- unless you introduce complicated perversions in your SUSY theory. My own mass distribution of b-quark jet pairs was in good agreement with background predictions, but as I commented the results found by John and his colleagues, I noted that the background in my plot could easily hide the excess one would expect at 160 GeV from Higgs production: a few hundred Higgs decays could be there, hard to spot, but potentially awaiting to provide a confirmation of the MSSM Higgs discovery (see on the right an enlargement of the inset in the previous plot). I was writing these comments tongue-in-cheek, since it was clear to me that what had emerged from the tau-tau mass distribution was just a fluctuation of backgrounds. See, I do not believe in supersymmetry! Regardless of what I believed, however, my posts drew the attention of a New Scientist reporter, who had already contacted John Conway to gather information for his article. He now wanted to add my side of the story to spice things up. Despite my attempts during our phone conversations at dumping his excitement, the NS reporter ended up producing an article which contained a few inaccuracies, and which put too much emphasis in what I had specifically explained to be, for sure, just a statistical fluctuation. His piece then got picked up by the Economist, which added some additional misrepresentations. The final result was a mediatic bubble which was quite upsetting for a few of my colleagues within CDF. So much so that I, despite having done nothing wrong, apologized with my collaborators for having caused a stir in the media. 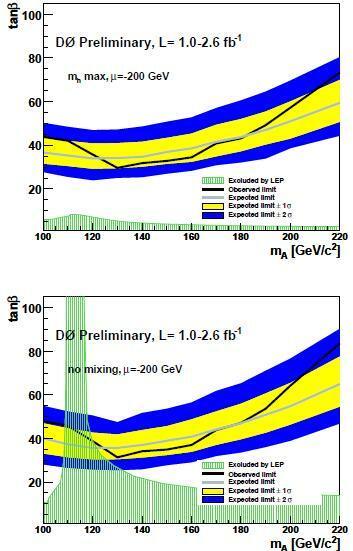 More than two years later, we are in the situation of giving a look at a fresh new analysis produced by the DZERO collaboration, which used a larger data sample of proton-antiproton collisions than the one available to Conway in 2007, to further investigate on the existence of a MSSM Higgs boson, by combining searches involving pairs of b-quarks and pairs of tau leptons. The result, of course, is that there is no such thing: a MSSM Higgs has been excluded by DZERO in the range of theory parameters which was indicated by the 2007 result; this is something which also an update of the analysis by CDF has clarified. So if you only care for exciting news, you can stop reading now. However, we might learn a thing or two by looking at the DZERO analysis in some detail. That is what I offer to do for you in the following; but first, let me give you in my usual inaccurate fashion a very quick and dirty introduction on the Minimal Supersymmetric extension of the Standard Model, and on the few basic facts you need to know about the Higgs boson predicted within that framework. The Minimal Supersymmetric extension of the Standard Model is a subset of a class of theories -generically called supersymmetric- which build on the Standard Model of electroweak interactions to mend a very nagging shortcoming of the SM, called the problem of fine tuning. In two words, in the SM the Higgs boson mass is unnaturally small, since its value receives very large positive and negative contributions from virtual diagrams. As Michelangelo Mangano aptly puts it, it is as if you asked each of ten friends to give you a irrational positive or negative number of order unity, and upon adding the ten numbers, you found a result equal to 0.000000000000000000000000000000001 or so: you would guess that your friends played you some trick! They must have conjured to nullify the sum of their ten numbers. corresponding s-particles on the right side. Bosons will be fermions in the SUSY world, and fermions will be bosons: a really beautiful symmetry, but one which unfortunately is not realized fully in nature. No, it cannot work as is: because all these additional particles have never been seen in Nature. So we need to "break the symmetry" between SM and SUSY, and hypothesize that some mechanism is at work to make the SUSY particle masses much larger than our present detection reach. So, in order to solve the problem of fine tuning of the SM, we have to assume that there exist more than twenty so-far-unseen elementary particles, and that these particles all have masses above our detection limits, but not too much so (lest their mending effect on the fine-tuning becomes more complicated to keep intact). Together with those additional particles, there are at least 105 new unknown parameters to buy in the package, which the theory does not explain: not just the particle masses, but their couplings, mixings, etcetera. A whole new world to explore. To be fair, SUSY theories do not just give us a solution to the problem of fine tuning, in exchange for these 105 free parameters and score of new particles they load the theory with. They have the benefit of making more straightforward the unification of forces at very high energy -a very appealing feature for theorists. To understand this point, you need to know that electromagnetic and weak interactions "unify" at the electroweak scale: for energies larger than the mass of the weak vector bosons -say above 100 GeV, or 100 proton masses- the two interactions have similar strength, and they are in fact described in a unified way. Physicists believe that the same unification happens at a much higher energy scale -one directly unreachable by our experiments- between the three fundamental gauge couplings of the Standard Model. However, in the absence of supersymetry, the three gauge couplings do not seem to converge to a single point. In supersymmetric theories, the evolution of interaction strengths at high energy is varied from the SM, and the three interactions do "meet" at the same energy scale. This is sketched in the figure above. 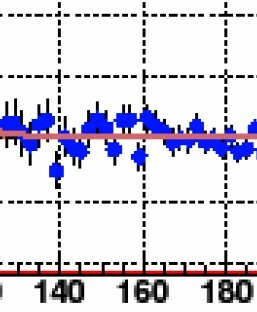 Now, let me go back to the spectrum of particles predicted by SUSY theories. As far as the Higgs boson is concerned, in the MSSM (which is a minimal version of the many different SUSY theories that can be formulated) there is not just one such particle, but five different ones; the three electrically neutral ones are called h,H, and A; and then there are a and a . The lightest neutral Higgs among these five particles does behave similarly to the Higgs boson of the Standard Model, so search techniques are pretty similar. A value significantly different from 1 of a unknown parameter called allows the lightest neutral Higgs to be produced much more frequently by our colliders, such that we have sensitivity for that particle even with the data already available at the Tevatron: cross sections are larger by a factor , and these MSSM Higgs bosons might already be extractable from the data. In fact, present searches have started to exclude significant portions of the parameter space of supersymmetric theories, by not finding a signal of SUSY Higgs bosons. Let us then have a look at the analysis that DZERO recently produced: it allows to peek inside the techniques which are used to extract a potential signal; the techniques rely on the known properties of the Higgs boson, in particular, its expected decays. As mentioned above, these are dominated by tau lepton pairs and b-quark pairs. The result published by DZERO is a combination of three separate searches for MSSM Higgs bosons, by allowing the Higgs to decay to either tau lepton pairs of b-quark pairs. Why three and not two searches ? 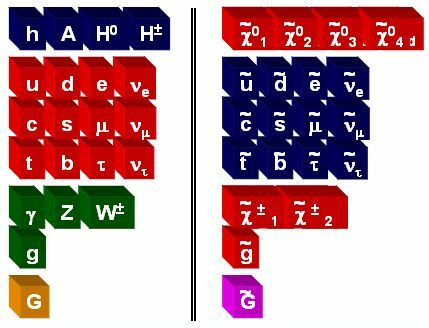 Because DZERO considered two different ways of producing the Higgs; in one case, only the tau-lepton final state could be searched, in the other, both final states are possible. Let me explain in more detail this fact. In proton-antiproton collisions the Higgs can be produced by a multitude of different processes, but most of them are irrelevant for practical detection purposes. The two considered by DZERO in their searches are direct production -through quark-antiquark annihilation or gluon-gluon fusion diagrams such as those shown on the left- and Higgs radiation off a b-quark -the process called Higgs-strahlung, originated by diagrams such as those shown in the Feynman graphs below. The two classes of processes are quite different in their phenomenology: in direct production the Higgs is the only object which appears in the final state of the collision, if we ignore the debris due to the remnants of the two projectiles, which leaves the interaction point along the beam line; in Higgs-strahlung processes, instead, it recoils against a b-quark jet. When directly produced, only a Higgs decay to two tau leptons can be identified because tau leptons provide a clean signature in the detector, and backgrounds are relatively small; for b-quark pairs, the signal would instead be buried in a huge background coming from quantum chromodynamical (QCD) processes: strong interactions which produce pairs of b-quarks with large rate. If instead it is produced by Higgs-strahlung, the Higgs signal can be searched even in the decay, because the presence in the event of a third b-quark -the one from which the Higgs boson got radiated- causes a strong decrease of QCD backgrounds: QCD produces quark-antiquark pairs, and the third odd b-quark forces backgrounds to have four of them. The search makes use of the variegated phenomenology of tau lepton decays. In a sizable fraction of their disintegrations, tau leptons just produce an electron and a pair of neutrinos, or a muon and a pair of neutrinos; they thus appear as an energetic electron or muon. In the rest of their decays, they yield narrow hadronic jets containing few particles -typically one or three charged pions, plus a few neutral pions. From an experimental standpoint, there are thus three different possibilities to select Higgs decays to tau lepton pairs: the event will contain an electron and a narrow jet, or a muon and a narrow jet, or an electron and a muon; dielectrons or dimuons, which would suffer from large backgrounds from electroweak processes, are not considered by DZERO. In the search for the Higgs-strahlung process, the topology always includes a muon from tau decay, a narrow jet, and a b-tagged jet. The muon is needed because it is through its presence that the event is collected by the online trigger system. Finally, in the Higgs-strahlung process, at least three b-tagged jets are selected by a neural-network b-quark jet identification. The events are collected by a three-jet trigger, but they may contain from three to five hadronic jets; the large backgrounds are handled by using two separate likelihood discriminants, one optimized for Higgs bosons of mass below 140 GeV, and the other for larger masses. The data in each of the three searches are compared with the sum of backgrounds, finding good agreement and no hint of a signal for any Higgs boson mass hypothesis in the studied range. To combine the many different search channels into which the three main topologies are divided (depending on the kind of lepton is identified from tau decay, or the number of jets in the event for the three-b-quark search), the data are combined into bins of similar signal to noise ratio: in this way, the sensitivity of the combination is maximized. One thus obtains a plot where the observed data is shown as a function of the logarithm of the ratio between number expected signal events and background events. Above you can see the case of a Higgs boson search: here, a value has been assumed to draw the expected amount of signal in red in each bin. 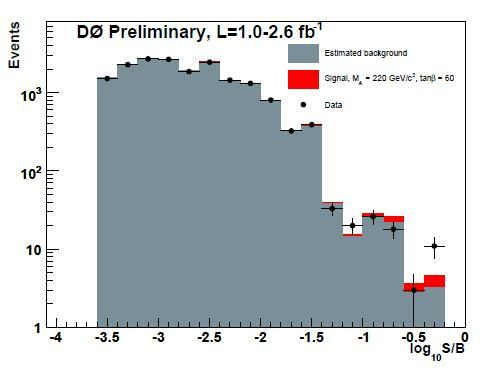 The grey histogram shows the background distribution expected from the many contributing sources (mainly coming from top-quark pair production and QCD processes, plus decays), and the black points with error bars show the DZERO data. A good agreement with the background hypothesis is indeed observed. Below is instead the case for a 220 GeV Higgs boson, at the same value of . It is evident that for such a high mass of the Higgs boson, the expected signal in the data becomes much smaller, due to the fact that the production cross section decreases quickly with the particle mass. Again, a good agreement between data points and the grey histogram is observed. 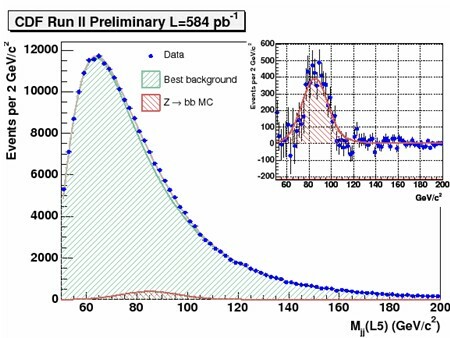 From histograms such as the ones shown above, upper limits on the Higgs production cross section can be derived for a variety of values of the parameters describing the MSSM parameter space. Whenever the upper limit on the signal cross section is smaller than the cross section predicted by theory, the corresponding point of the parameter space is excluded. The result is usually displayed in a plot of versus the mass of the A boson (regardless of whether A was searched or another Higgs neutral scalar of the trio; two of the three neutral Higgs bosons are usually degenerate in mass for much of the parameter space). On the left I provide a couple of such exclusion plots. They correspond to two different choices for the value of other parameters of the MSSM scenario considered, the so-called "Mh max" and the "no mixing" cases. I will not make this piece more technical that it needs be, so the explanation of what those cases refer to is waived. Let me just mention what the differently coloured areas mean: the green area has been excluded by the LEP experiments; the yellow and blue bands instead show the ranges -within one and two standard deviations, respectively- where DZERO expected to obtain its exclusion limit, giving their analysis method and data sample size. The black curve shows the actual limit: it needs to be interpreted as an upper limit on the allowed values of for any given mass of the A boson, such that all the area above the black curve is excluded. The area excluded includes the region once favoured by the 2-standard-deviations Higgs boson signal seen by CDF in January 2007. This is no big news: in fact, a more recent result by CDF had already excluded the former signal, toward the end of that same year. What I think is more relevant is that the present search puts together two very different production processes, and exploits two complementary decay channels. To do better than DZERO, CDF will probably need to use the same technique. Besides, this is what has been used by both experiments for a while now, for SM Higgs searches: the combination of many insignificant results allows to obtain significant advancements. The logic of the ant at work in HEP! The Tevatron searches for Supersymmetry have already removed a large chunk of parameter space to these models. The allowed range of some of the parameters has shrunk considerably in the last few years, and yet the faith in SUSY of many colleagues, both theorists and experimentalists, is unshaken. Whenever I talk to one of them, and they show amazement when I declare I do not believe in SUSY, I am left with mixed feelings. Does not the continuously shrinking parameter space get my colleagues thinking that maybe -just maybe- SUSY is a beautiful, deep, erroneous theory of Nature ? Or maybe I am the one who does not understand that really, naturalness of the Higgs mass and grand unification of the three gauge couplings at a single scale are priceless, and 105 unknown parameters are still a modest price to pay ?